DESCRIPTION AND DETAILS: This sculpture is part of a shoes series I'm currently working where I revisit some of my favorite classic sneakers silhouettes. 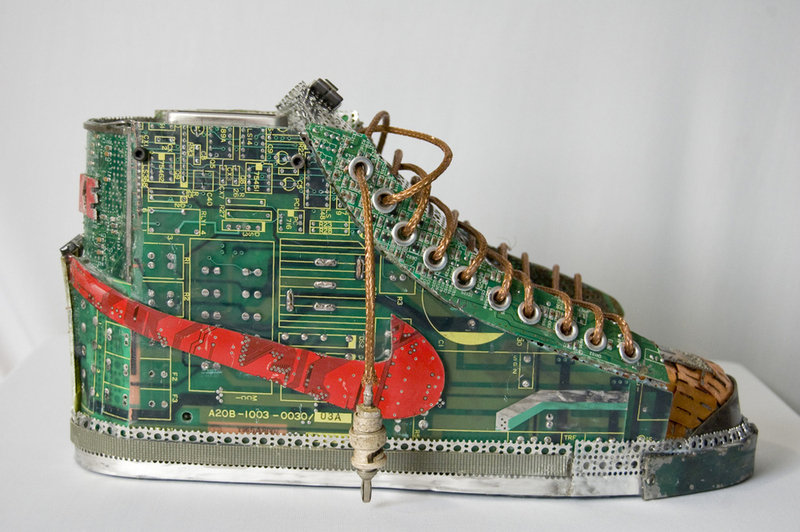 With this piece I again tried to create a complete piece with both box and shoe notice some of the details, shoes lock down inside of box for easy portability, I also tied this piece around a theme,"Pentium", the name of Intel's chips. You will notice this repeated through out the shoes, and box.